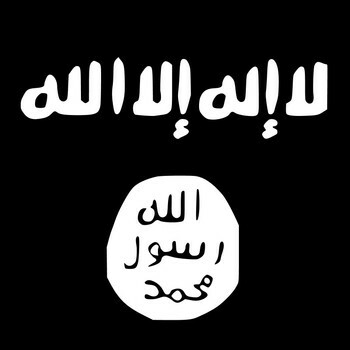 There is a new declared Islamic State–and Caliph–what does that mean? It’s a measure of how poorly Muslims are regarded that compliments often across more offensive than outright insults. Say, “moderate Muslim,” or the New York Times’ Rod Nordland’s informing us that while “[t]he Islamic State in Iraq and Syria may practice a seventh-century version of Islam, … it has demonstrated modern sophistication…” Maybe you don’t see why “moderate Muslim” is insulting, grating, frustrating. Likewise, what about assigning a movement too extreme for al-Qaeda to the distant past could be problematic? To assign ISIS, today’s “Islamic State,” to history is an ultimately self-defeating attempt to deny the conditions of its emergence. There was no al-Qaeda before the Soviet invasion of Afghanistan, nor a jihadist state across the heart of the Middle East until we attacked Iraq for the umpteenth time. The old order wasn’t working, the intermediary halfway house that is the twentieth century, and it is no surprise that postmodern Arabs reach back into the past for legitimacy. But it is the reaching that should concern us. A buffer, if you will, between then and now. No different than the search for a Martin ibn Luther to right the wrong that is our religion unreformed. Unimproved. For Muslims, however, seventh-century Arabia is not a long time ago in a desert far, far away, a very moving story with no contemporary consequences. It’s what we aspire to realize in our quotidian circumstances. It is the template. In the Muslim worldview, to be brief, God gives Muhammad revelation and Muhammad, in turn, embodies revelation, so we his successors know how to live it. Of course, in the absence of Muhammad, individual Muslims must struggle to apply their reasoning to understand what to make of that legacy in different circumstances. To call the Islamic State “seventh-century” is to say that they somehow reflect what Islam was, and is meant to be. It’s giving the Islamic State the legitimacy it craves and does not deserve. No serious Muslim believes that ISIS actually represents what the Prophet taught, lived, or stood for. Entirely the opposite: They are twenty-first century monsters hiding behind a seventh-century mandate. They claim other Muslims have gone astray in aping the West when they’re the most guilty of the same. Their desire to fuse religion and state, their declaration of the Westphalian model of sovereignty as sacred obligation, their obsession with purity and homogeneity—these are not characteristic of precolonial Muslim societies, let alone Muhammad’s Arabia. We should understand this, rather than continue in our endeavor to force Islam into a Western straitjacket. In the Western mind, newness copresents with goodness, assuming therefore that because the Western Dark Ages happened in the past, so did (or should) everyone else’s, continues to overrun our public arena. It wasn’t onwards and upwards for the rest of the planet, mind you. (The point of Tamim Ansary’s Destiny Disrupted). The Islamic State recalls and depends on an awareness of this, though while many Muslims might agree with their assumptions, far more disagree with their conclusion. Rather than reviving the ummah, the Islamic State has merely accelerated the decline. Distancing us from the positives of our past without offering any positives for the present. The worst of both worlds, if you will. Most Caliphates and many Sultanates, including the most powerful of the post-Columbus age, the Mughal and Ottoman, ruled over mostly non-Muslim populations, a generosity we could not imagine the Islamic State reproducing. But just because they claim a Caliphate does not mean they are, or rather will, be the only movement to find a way to make Islamic leitmotifs live on in the present age—with enough elasticity to accommodate the future. The Islamic State exists against a backdrop of desperation and confusion; the heartland of the modern Muslim world appears, more and more, to be an era in search of its animating idea. A social contract, if you will. But the Islamic State is not that. Rather than bring together, they drive apart. But that does not excuse our confusing what people say for what they actually do. With all their talk of Islam, ISIS and its kin bring to mind a great medieval sage, whose wisdom is not lessened by his dates of birth. ‘The devil,’ Shakespeare wrote, with no idea for how right he would be, ‘can cite scripture for his purpose.’ He may fight in its name. Put God’s name on his banners. Even have the same name as the actual first Caliph, Abu Bakr, the Prophet’s father-in-law. But the latter told his soldiers never to molest women, to leave noncombatants in peace, to cherish all houses of worship, to do no harm to nature. And these are allegedly his successor? ‘A goodly apple rotten at the heart. O,’ Shakespeare continued, ‘what a goodly outside falsehood hath.’ Just because ISIS says it is faithful to Muhammad’s seventh-century model does not in fact mean that they are. God forgive us the comparison. 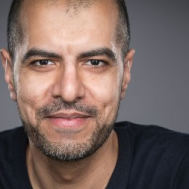 Haroon Moghul is a co-producer at Avenue M, a widely published writer and a popular public speaker.